Until a few years, the digital camera was considered a luxury for the few, now with the advancement of technologies and the wide-scale deployment, it is not uncommon to find people who are more at home with a digital camera. A difference between traditional film (now the traditional photographic film is becoming a thing). They do not need traditional media to store photos, but they use an internal memory and removable memory cards (SD, Micro SD, Memory Stick, MMC, etc …). This means that photos can be viewed on any computer-readable form (tablets, smartphones, TVs, computers, for example) and, if eliminated, or printed on your home printer or bring in the appropriate store. Then the power of the digital (whether they are compact, bridge or SLR) allows you to carry a product that helps us to capture every beautiful moment of the day in the best way possible (generally due to automatic settings, or for the more experienced using those manuals). Of course, this guide is not intended to be a tool for those already familiar with photography and with these technological means, but for those people who look out into this world and have no idea what the object that best suits their needs. One of the first questions that a user should ask yourself before buying a digital camera is ” What are my needs? ” . As with respect to any electronic device (I would add some cost), depending on our needs change we will have to make use of it, the cost of the unit but especially the knowledge that we apply to the object in question ( or how long we will have to apply to learn how to master it efficiently). Who is already oriented towards a digital SLR camera (for professional or semi-professional use and therefore, has a good foundation), could very well follow the guides in our photo section and the evidence relating to the various models we reviewed (otherwise it is always a better start with a compact that allows us to disable the automatic settings and to experiment in the manual version). Of course, not everything has to regardless of the budget that each user has set to spend and how long he or desire to devote to learning. The Megapixels are really important? When we go to buy a digital camera, the first information that is reported, is that the number of megapixels in the room. Of course, information is important, but not vital, as is too often used as “bait and switch” means a method to attract customers. It is said that a 12 megapixel camera face the worst photo of a 16 megapixel, because different factors come into play (one of all the sensor, which must grow in size as compared to the pace megapixels). Suffice it to say that, for example, 5 megapixel camera, corresponding to a resolution of 2,560 x 1,920 pixels, which will enable us to print the subject of a portrait of print in A4 format (and even if we wanted to show it on a monitor, we will not have problems since the have a Full HD resolution of 1920 x 1080 pixels). So ok for a car with so many megapixels, provided that the sensor allows to compensate (quality), otherwise you will have the so-called noise (grain, noise and digital artifacts, which will make our bad photo). In any case, thanks to the new technologies available in the rooms, find cheap products, which start from 10, 12 megapixels and up. If we tried to compare the sensor of the digital cameras, then the comparison in point might be the one with the photographic film the images are captured by a set of lenses (which we also call target), to then be reproduced in scale on the surface of the sensor. Then from here we will process that will save the collected information and then transform them into digital information (or data). The problem is that often the information of the sensor are not mentioned, and because many different brands, mount sensors of the same size, and because those who are interested in buying a digital compact, very often does not pay attention to this parameter (which is generally in Bridge or Reflex is always specified). In any case (since certain compact quality they still cost much higher than $150) when we go to see the type of sensor, we will have to have something to do with the CCD and CMOS technology. These two, given the strides made, could be compared (CCD processes the image through the external circuitry, while the CMOS on the inside, with its benefit of consumption), although some prefer the CCD to CMOS because of cleaning of the images. In any case, always remember that the larger the sensor and the picture came out with less noise at high ISO (ie, sensitivity to light that we give to the sensor, c h and higher, then the best quality of photos taken in the dark). In any case, today’s compact 5x7mm or have a value of 1/1.8, and it is good not to go below this parameter (in the market semi-professional or professional. We bump into sensors such as 24x36mm, 48x36mm, 72x96mm and 60mm). We often read of cameras that take 15x zoom, 20x, but in reality, it is so important to have a high value. In theory, it would be if this were not digital but optical (ie, not the machine that goes by software to enlarge the pixels of the picture, but it is the system of lenses that goes to ” bring ” the image that we are photographing). So, it is wise not to take too many accounts of this parameter (in many cases corresponds to the product of 15x 3x optical plus 5x digital), but looks at the optical zoom that must be at least or more than 3x. More than the zoom (which we will use for a maximum of close-up shots in a particular, but we will be never impossible distances from the subject), it is interesting to have a good wide-angle (ie the possibility to have more portions visible in the photo), which generally compact in the discrete part from 23 to 28mm rise. Since our camera will follow us forever (certainly did not buy it to keep the drawer), and often the photos are made during the day, we will have to look after the quality of the display. Not so much because we have to watch a movie or revise them the pictures, but because many have eliminated the compact viewfinder, replacing it with the display. In the case where we have a direct light source (the sun by day or special lighting at night), the display must be visible (at least in part), otherwise we will not to frame and take decent pictures (would be ideal prove and the room before you buy and make sure that this allows us to see even when subjected to a strong light source). As for the batteries, it is always good to have the possibility of using AA rechargeable or disposable, and avoid proprietary solutions that will make it necessary to find in the middle of the fun without charge. In this way, it is possible to spend less and also to have in his pocket a chance to take as many photos as we want (memory permitting of course). A parameter is always important but not vital dimensions. Compared to a few years ago, things have changed, we will have the opportunity to have products that we can put in the back pocket of your jeans (or at most in the pocket of the vest or jacket) without them, we create space problems. What features in addition to the flash? If the camera has an image stabilizer of quality, we will have the opportunity to avoid the subject moved (of course if you put your finger in front of the lens, in this there is no remedy) and have acceptable photos in any situation. Then of course the function red eyes, face recognition or smile and in general, the focus automatically to make the product to test inexperienced. Do not forget of course the flash, mixed blessing for those who want to take pictures even in the dark or at a concert. Although it may seem simple to use, it is often the unclear picture of the person in charge (or too light) and details not accurate. It is a powerful tool (which should never miss whatever) that when used properly can give interesting effects to your photos and able to deliver shots even in low visibility, but that might in the wrong hands, to ruin a beautiful moment (the ideal would be a room that can adjust the intensity of the flash or move away a bit from the subject being photographed, or if the sensor allows, manually increase the ISO parameter). Admittedly, it is not easy to decide to go and buy a digital camera (though compact and therefore easy) without posing several problems. The important thing is always to take into account parameters such as sensor, lenses and zoom and various sizes. Of course, I have deliberately avoided the digital non-compact, the bridge, SLR etc. Because they helped to complicate the ideas for the novice and do not add anything new to the experienced user or a little cunning. I avoided mentioning additional features such as (GPS to geotag the photos), ability to connect via Wi-Fi directly to Facebook (or other online services), or printer, because nice features but not essential for the success of a photograph. 1 Sony DSCW800/B 20.1 MP Digital Camera (Black) 1,310 Reviews from $94.00 See Offers! 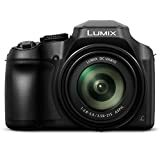 2 PANASONIC LUMIX FZ80 4K Digital Camera, 18.1 Megapixel Video Camera, 60X Zoom DC VARIO 20-1200mm... 1,091 Reviews $349.00 $297.99 See Offers! 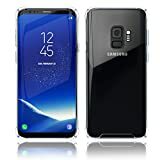 3 Kitoo Samsung Galaxy S8 Case, Transparent Crystal Clear TPU Cover, Slim Silicone Drop Protection,... 206 Reviews from $12.99 See Offers! 4 Canon PowerShot ELPH 180 Digital Camera w/Image Stabilization and Smart AUTO Mode (Red) 472 Reviews $119.00 $109.99 See Offers! 5 Canon PowerShot SX530 HS Digital Camera with 50x Optical Image Stabilized Zoom with 3-Inch LCD HD... 175 Reviews $259.00 See Offers! 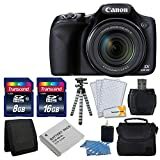 6 Canon PowerShot SX420 IS Digital Camera (Black) with 20MP, 42x Optical Zoom, 720p HD Video &... 394 Reviews $369.00 from $294.00 See Offers! 7 Sony (DSCW800) 20.1 MP Digital Camera (Silver) 622 Reviews $89.99 $81.99 See Offers! 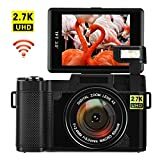 8 Vlogging Camera Digital Camera 24MP Ultra HD 2.7K WiFi YouTube Camera 3.0 Inch 180 Degree Rotation... 61 Reviews $139.99 $99.99 See Offers! 9 Canon PowerShot ELPH 180 20MP 8X Zoom Digital Camera (Silver) + 32GB Card + Reader + Case +... 390 Reviews $199.95 $155.99 See Offers! 10 AbergBest 21 Mega Pixels 2.7" LCD Rechargeable HD Digital Camera,Video camera Digital Students... 52 Reviews $40.99 See Offers!